This website/blog has only just begun, but I hope it will give you a peek into my artistic journey in a way that makes you smile and inspires you on your own creative adventures. 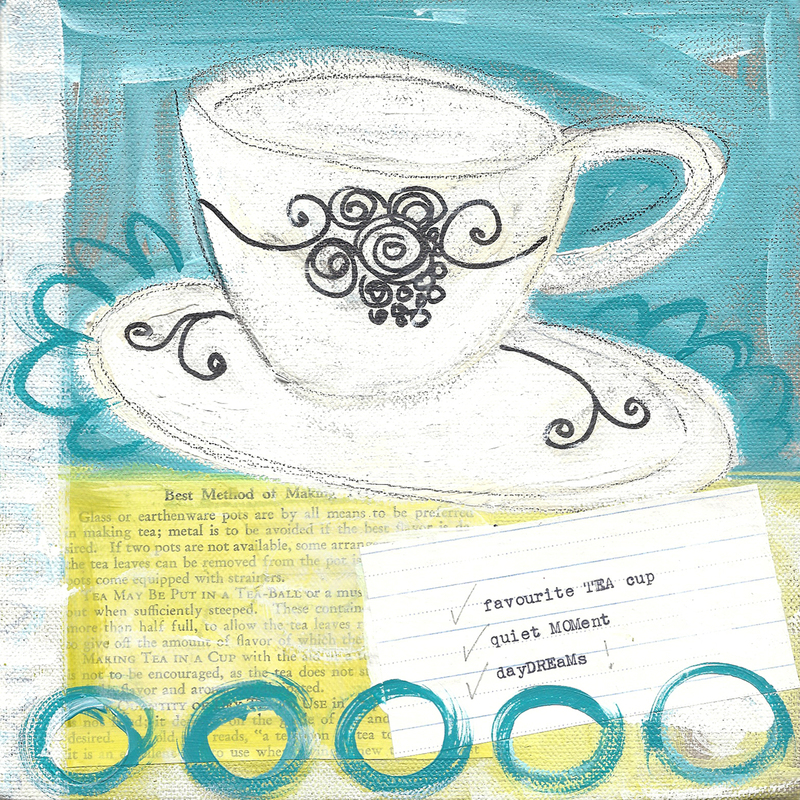 I am having so much fun with my painting, sewing, doodles and words (can you tell?). 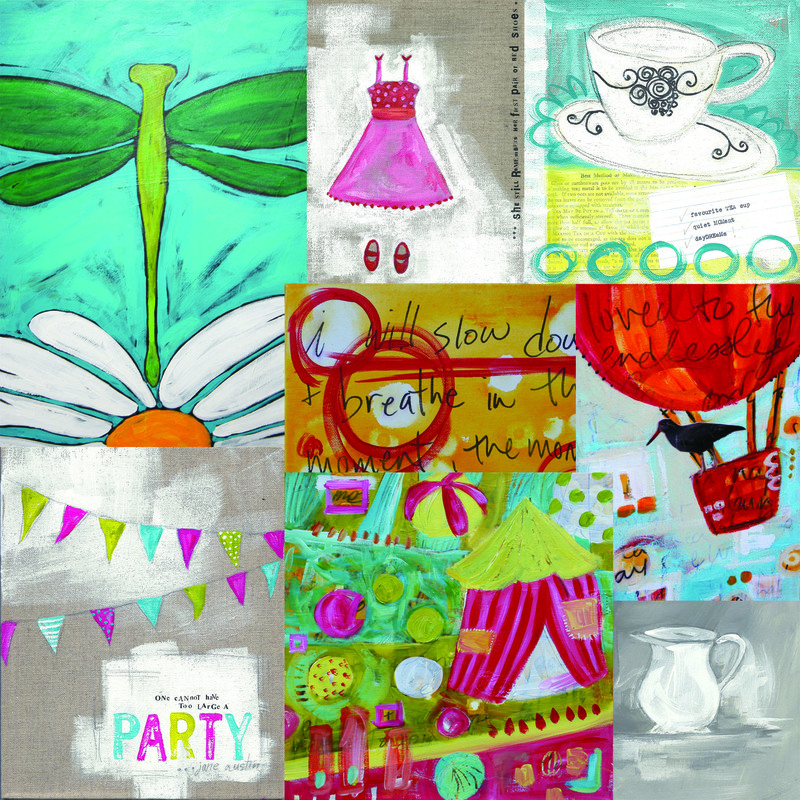 Won’t you please grab a cup of tea, kick back and have a look at what’s new in my studio and my shop? Enjoy! Great looking site! I look forward to seeing more of your art up soon. Good luck with the show tomorrow. 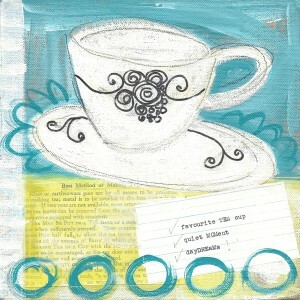 Please let me know if the tea cup painting doesn’t sell. my tea is just steeping….I too have a day off to play with my girls….they are a bit sniffly though so we will have to wait another day to have you over for daydreams and teacups! bet you are exhausted after all your work this weekend – hope it was SUPER! I have so enjoyed watching your art evolve for the past few years, and am so happy you are bringing it even further !!! looking forward to seeing more pieces – though I have to say I am completely in love with this one! thank you ALL dear friends for your ongoing love and support! You are welcome to post the commissioned works you did for my family if you want as samples of your lovely custom work. I LOVE the teacup one…need one of those! thanks so much Christine….once I have time to take more commissions I will certainly do that! i had so much fun with the tea cup and since fancy tea cups and drinking tea are a couple of my favourite things, you can bet more will be coming soon….stay tuned! Thanks Rob, it seems to me that we are both on very exciting creative paths right now! thanks for the feedback Barefoot Mama! oh I am glad to hear from you rachel, this blogging is so new to me and it is wonderful to get feedback, especially from experienced bloggers such as yourself!